Tickets: £10, £5 children aged 5-15. Book online or call/text 07809742051. An exciting new collaboration between Roopa Panesar, Jesse Bannister, Kousic Sen and R.N. Prakash. Following the success of Bristol’s Rhythm Utsav 2017, we are delighted to be supporting this community organised event again in 2018 and providing the headline artists. 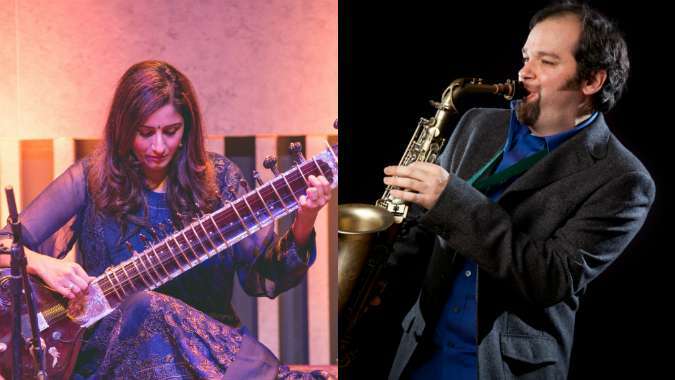 This year, we are excited to present a new collaboration between sitar player Roopa Panesar, saxophonist Jesse Bannister, tabla player Kousic Sen and carnatic percussionist RN Prakash. This incredibly talented quartet of musicians will join forces to present a special afternoon of Indian classical music. This event is open to all. However, please note, alongside the headline performance, there will also be short performances from local community music and dance groups who support and teach Indian classical arts in Bristol. The event is organised by community organisation Rhythm India. 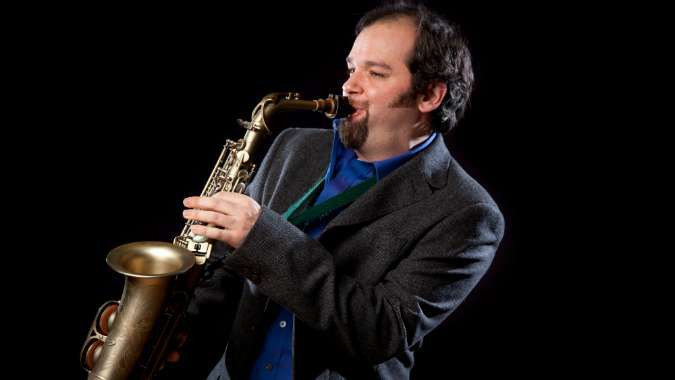 Respected as the leading Indian saxophonist in Europe, Jesse Bannister is a truly global artist with an international reputation for original composition and outstanding performances. At the core of all of Jesse’s work is the process of improvisation and collaboration with other artists. Jesse has toured internationally in Asia, Europe and the USA, and collaborated with many artists including The Liverpool Philharmonic, The City of London Sinfonia, The Halle Orchestra, Mercury prize winner Talvin Singh, Oscar nominee and Grammy winner Bickram Ghosh and Grammy winner Sukhwinder Singh. 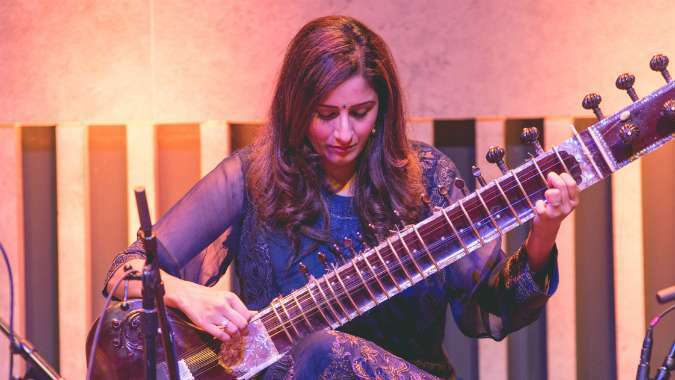 Roopa Panesar is regarded as one of the finest sitar players of her generation and is a disciple of the renowned educationalist and leading musician, Ustad Dharambir Singh ji MBE (a disciple of the late Ustad Vilayat Khan). With the incredible emotional depth of her sound, Roopa has touched the hearts of audiences far and wide. Roopa has toured extensively in the UK and Europe, performing at major festivals and prestigious venues, including WOMAD UK, Royal Festival Hall London, Brighton Festival and Darbar Festival at South Bank Centre. Kousic Sen is a tabla player whose intense and energetic performances add a new dimension to the traditional concert experience. His rhythmic mastery has become known around the globe through his performances with leading musicians in many of the world’s most famous venues. R.N.Prakash is a versatile and sought after percussionist from Bangalore, South India, who specialises in South Indian percussion instruments, including Mridangam, Ghatam, and Khanjira.